So I made Ao-mame Gohan. 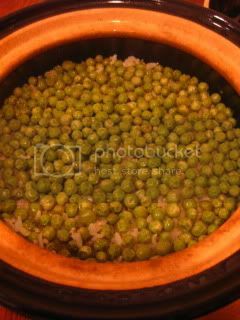 Rice was cooked with fresh English peas. 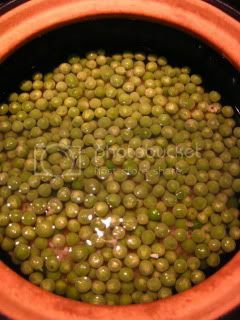 It's so simple to make...just combine the rice, water, sake, salt, dry kelp, and fresh peas. Then, you just cook it in double-lid donabe rice cooker, "Kamado-san", just like making regular plain rice. What a nice seasonal treat. Donabe rice was perfect. Simplicity becomes beauty. You can find the recipe on toiro’s website.